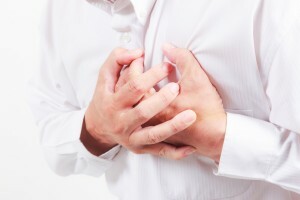 Angina is a symptom people experience when there is insufficient oxygen reaching their heart muscle. When symptoms come on expectedly, such as during exercise and are relieved by rest, then they are deemed stable. It is presumed that symptoms are secondary to a ‘stable’ narrowing in the arteries to the heart, rather than a new blood clot as often occurs at the time of a heart attack. These narrowings can be present for many years without necessarily worsening, although they do present a risk. How would I recognise it? A common misconception is that angina is always painful. Often it is not and many people describe angina as a feeling of tightness, heaviness or pressure in or across their chest. It may however present with discomfort in the throat, shoulders, back, or arms. As the heart sits next to the stomach, angina can commonly be interpreted as indigestion sometimes associated with burping. Patients may describe exertional shortness of breath. Due to the variety of ways that angina can present, the symptoms may be attributed to other conditions affecting the chest wall, lungs and digestive tract. It is not uncommon for patients to have self medicated with antacids and other over the counter formulations, prior to presenting to their doctor. The diagnosis is important, as the presence of angina may indicate significant narrowing of the coronary arteries that supply blood to the heart. When would someone normally experience stable angina? Whilst at rest the heart does not require as much oxygen and so people often do not get symptoms when inactive. During physical exercise the blood supply to the heart needs to increase. Where significant narrowings are present in the arteries, the body may be unable to increase blood flow to the heart sufficiently, leading to the onset of symptoms. Eating a large meal may divert blood flow to the gut wall and places additional demands on the heart, similar to that experienced during exercise. This explains why some people experience angina after eating. When people are placed in stressful situations, a combination of increased blood pressure, heart rate and constriction of the arteries to the heart, can worsen or precipitate symptoms. Cold weather can increase the blood pressure in some people, increasing the work the heart needs to do, to eject blood. This is one of the reasons why angina may be worse in cold weather. A range of investigations are available to investigate the presence of angina. These often involve non invasive tests, such as baseline and exercise heart tracings, along with a range of imaging tests that can indicate whether there is an anatomical obstruction in the arteries, or impaired blood flow to the heart. Imaging tests available include stress echocardiography, myocardial perfusion scanning, perfusion MRI scanning and cardiac CT scanning (please see investigations section). Where there is a higher suspicion of underlying disease, then patients may need an angiogram and whilst this is more invasive, it provides clear pictures of the blood vessels to the heart. It also may provide opportunity for assessment of blood flow across narrowings, to help ascertain whether they are the cause of symptoms (please see procedures section). Fortunately, many options are available for the treatment of stable angina. These include management of other contributing conditions, such as high blood pressure and anaemia. Cardiac medications tend to lower heart rates and dilate the blood vessels to the heart. This reduces the amount of work the heart is undertaking, reducing the need for oxygen, whilst also increasing the blood flow and reducing exertional symptoms. A symptomatic approach is often complemented by medications and lifestyle modifications to reduce cardiovascular risk and the development of further narrowings. Where blockages or narrowings in the arteries are significant, then other options include angioplasty to restore blood flow using stents (please see procedures section) and a small proportion of people with angina may require coronary bypass surgery. The various treatments should always be tailored to the individual and their preferences, but fortunately different options are available. Your doctor will be able to discuss the merits of each approach in your situation.